A new survey of prospective smartphone owners signals customers are more excited to see what Apple has in store for this year's "iPhone 7" than they were last year's iPhone 6s unveiling, though early interest for the 2016 upgrade is still behind hype for the iPhone 6 two years ago. Renders by Feld & Volk. 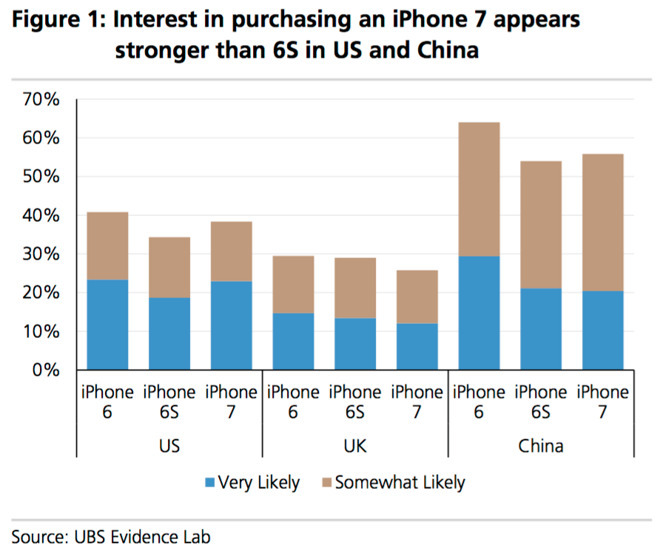 The UBS Evidence Lab did a survey of 6,336 smartphone users across the U.S., U.K., Germany, mainland China, and Japan to gauge interest in Apple's next smartphone. 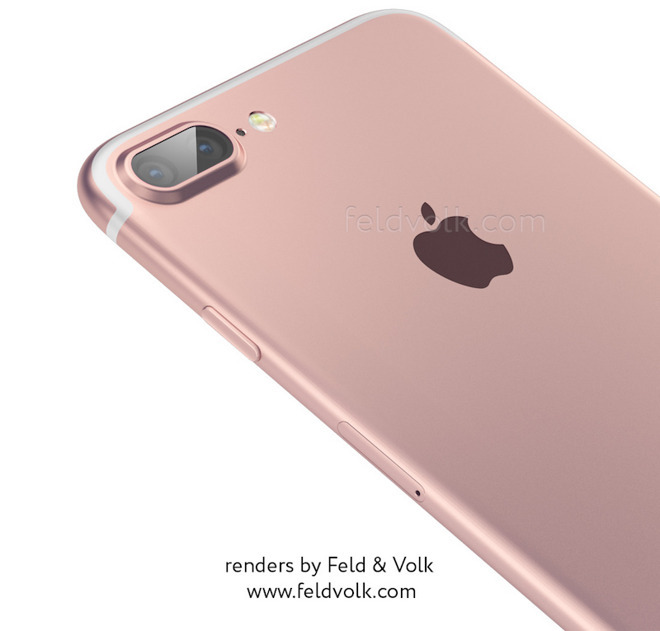 Though nothing is officially known about the so-called "iPhone 7," the poll found that consumer interest and demand are high. In the U.S. and China, respondents showed more interest in the "iPhone 7" than were interested in the iPhone 6s last year. In both markets, demand for the "iPhone 7" has not yet exceeded the excitement for the iPhone 6, which launched in 2014 and marked Apple's first foray into significantly larger form factors. Though Apple's leading markets are very interested in what the company has next, interest has waned somewhat in Europe, where interest in purchasing the "iPhone 7" is actually somewhat below the iPhone 6s. The data has led UBS analyst Steven Milunovich to predict that iPhone unit growth will reach between 5 and 10 percent in Apple's fiscal year 2017. He believes many users who have not yet upgraded to a larger display could buy in with the latest product cycle driven by a redesigned "iPhone 7." Finally, the poll also found that nearly half of respondents are holding off on buying a new iPhone until the next model is available. 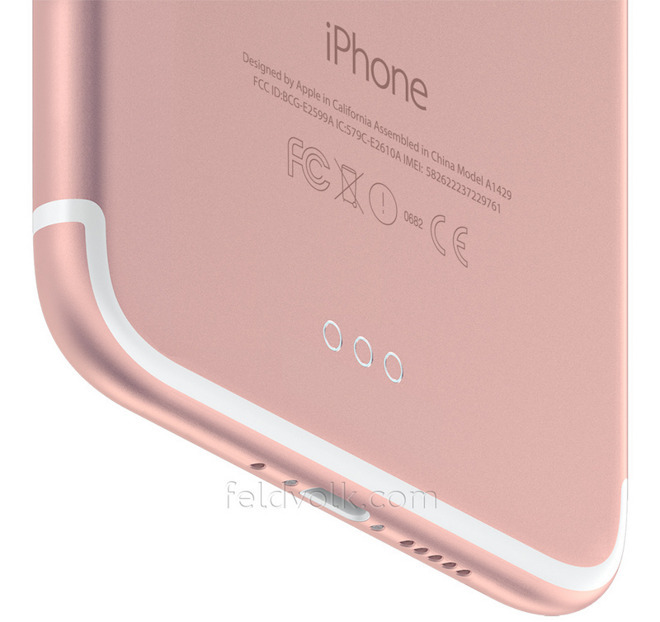 It's expected that the "iPhone 7" will launch in September, in line with Apple's usual release schedule. The fact that consumer interest in the "iPhone 7" is so high when virtually nothing is known about the device is a testament to users' faith in Apple to continue to churn out desirable products. It's believed the new iPhone will sport a redesigned chassis to differentiate it from the iPhone 6s, and leaked parts suggest it could gain the iPad Pro's Smart Connector for wireless charging. The addition of the Smart Connector could also allow users to utilize slimmer battery cases, and it could allow Apple to release Lightning-connected headphones that could be used without blocking the ability of the device to charge. There have also been reports suggesting Apple hopes to get rid of the 3.5-millimeter headphone jack in order to make the handset thinner than ever, though this week a new leak suggested the legacy headphone port could remain.